Updated to fix issues with Vista. Also, now only has one substyle (thin) and has a better system tray. 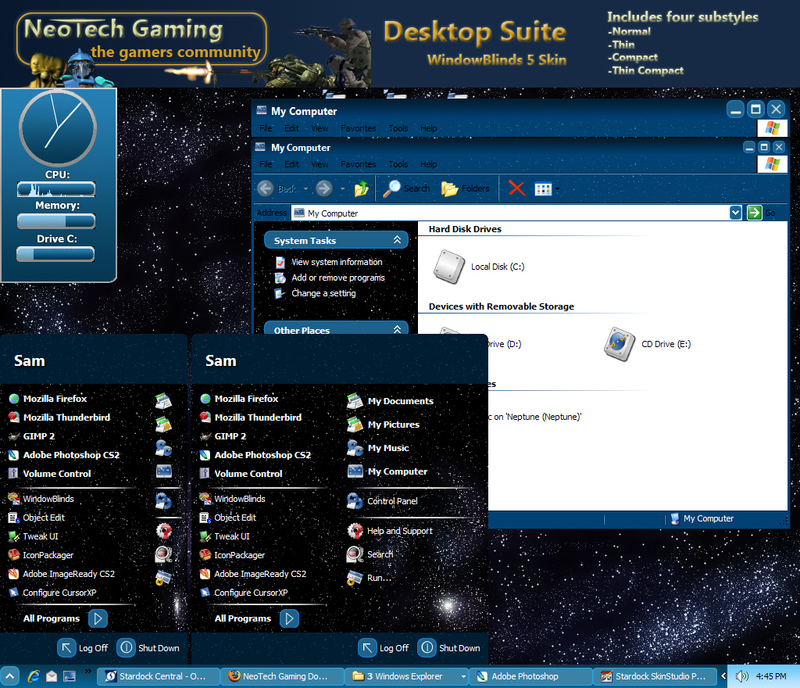 This is the WindowBlinds skin part of the NeoTech Gaming desktop suite. Includes WindowBlinds 5 Features:-Perpixel Please Wait-Semi-Transparent menus-Much more! :) Enjoy!